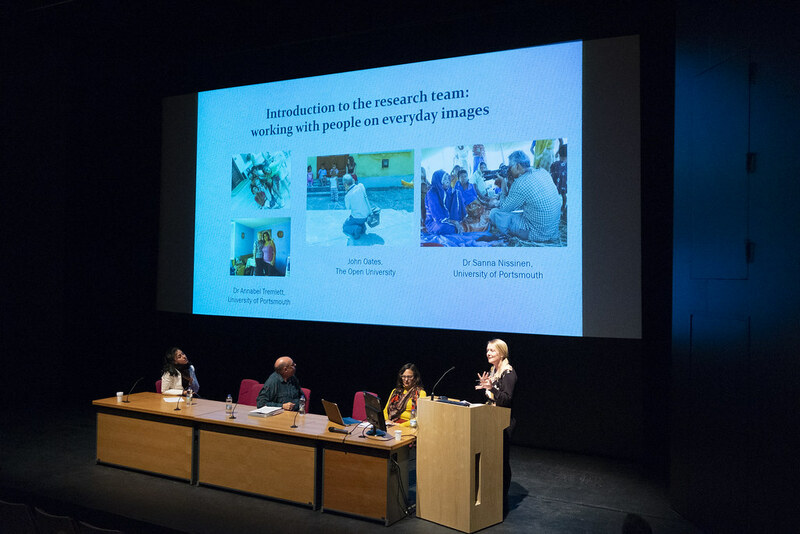 Coventry University is about to reflect the rich culture of the Romani people with an exciting week of events, that will both challenge perceptions of Gypsy people and entertain. 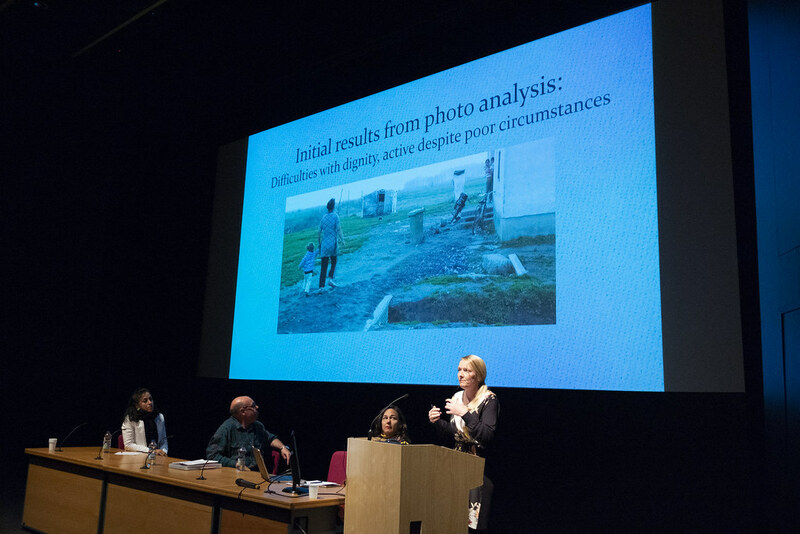 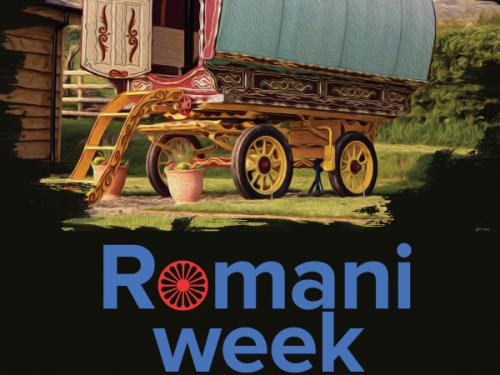 You’re invited to the press launch of the Romani Week and private view of an exhibition of outstanding photographs, taken at the Romani Family Picture Day. 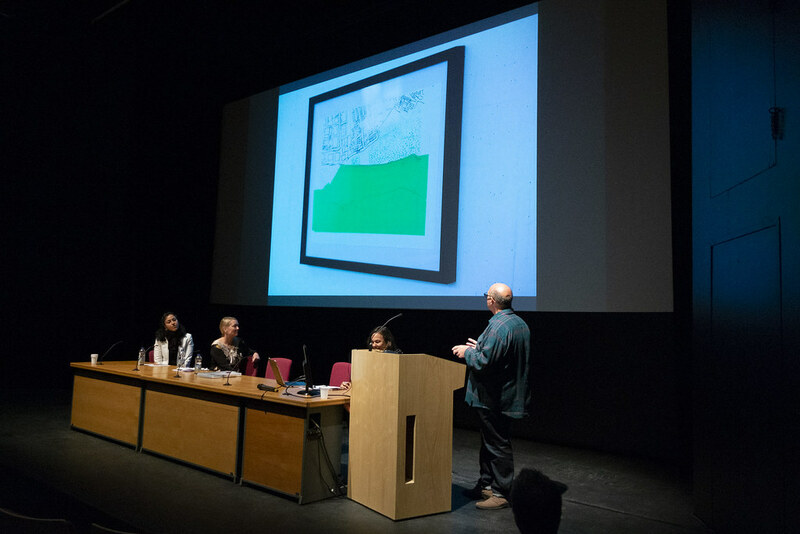 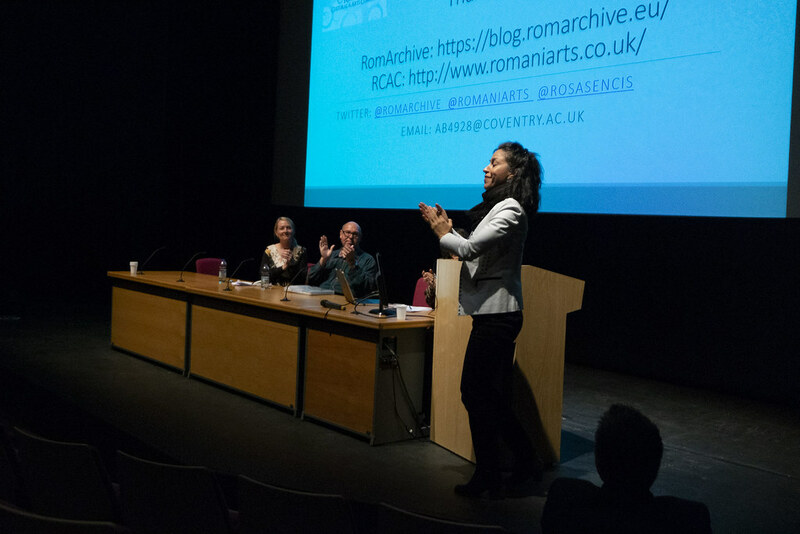 Come and join us at 19.00 on Monday 27 April at Coventry University’s Alan Berry Atrium Gallery opposite the Cathedral, where there will be interview opportunities. 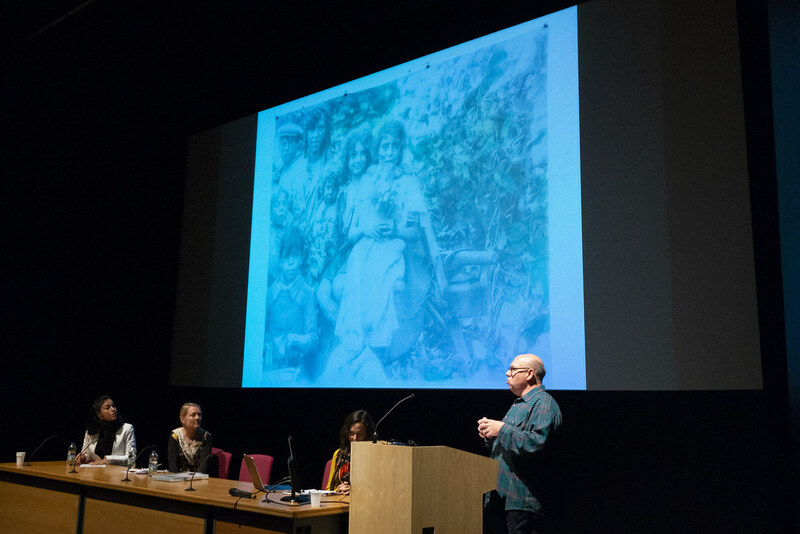 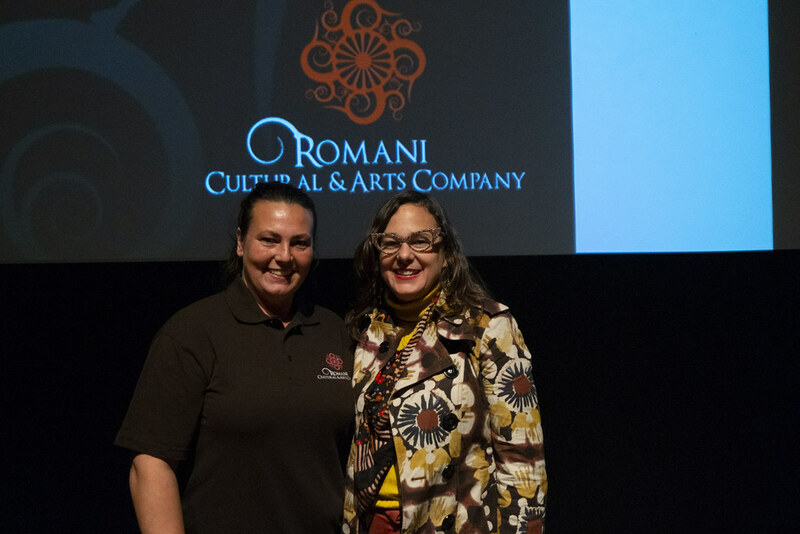 The Romani Week will be launched by the celebrated film maker Jasmine Dellal, who influenced perceptions worldwide with her film, When the road bends: Tales of a Gypsy Caravan, winning numerous awards. 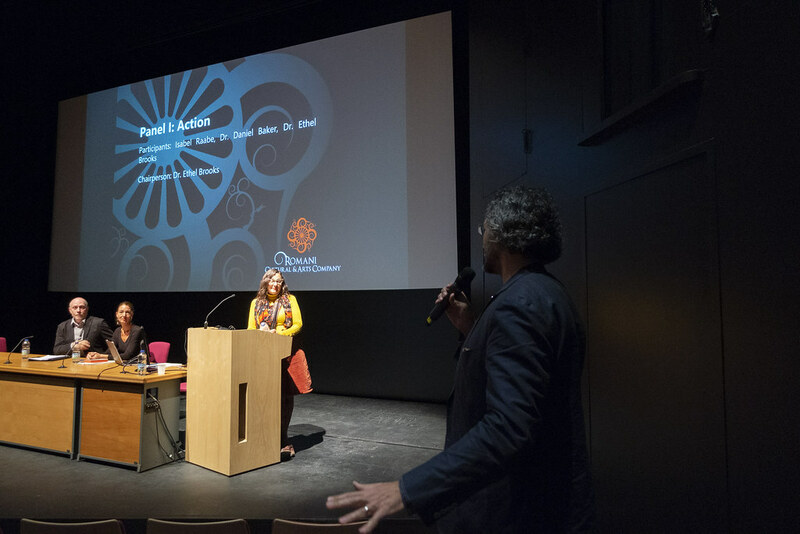 We are also proud to feature Ramón Flores, from the Council of Europe’s Forum of European Roma Young People Program. 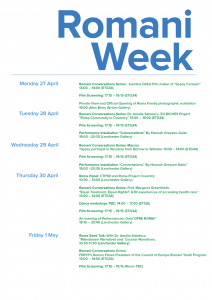 Ramón is making a special visit from Seville to talk about his work with the European Commission. 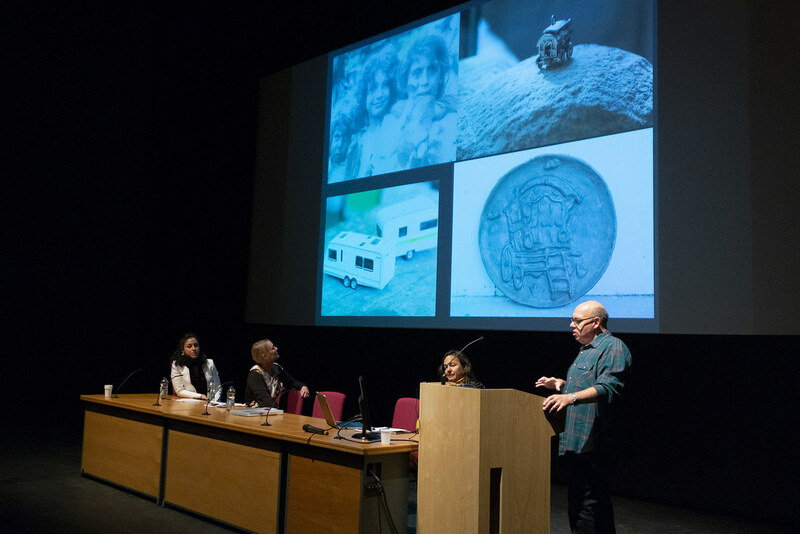 Hardly a day goes by without a negative story appearing in the media concerning the Gypsy and Traveller communities. 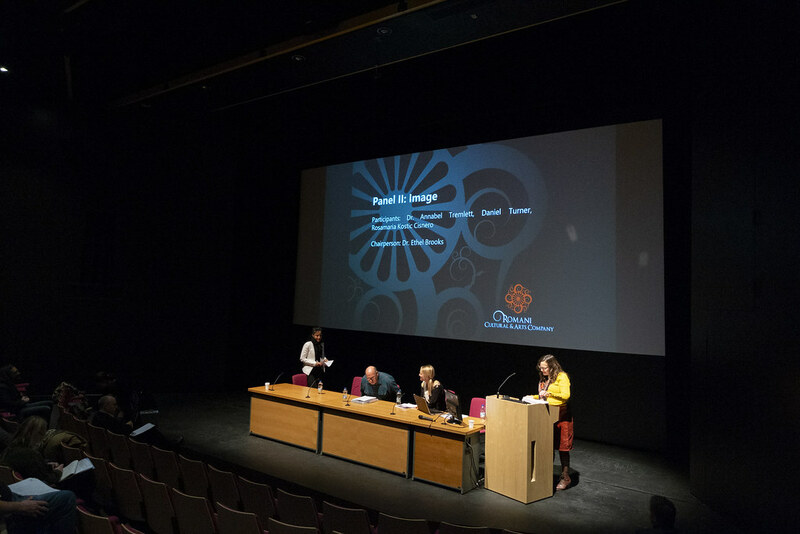 To put this in context Coventry University welcomes inequalities expert Professor Margaret Greenfields to discuss health and social care engagement and ways to improve the situation. 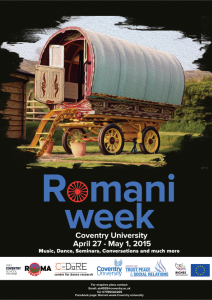 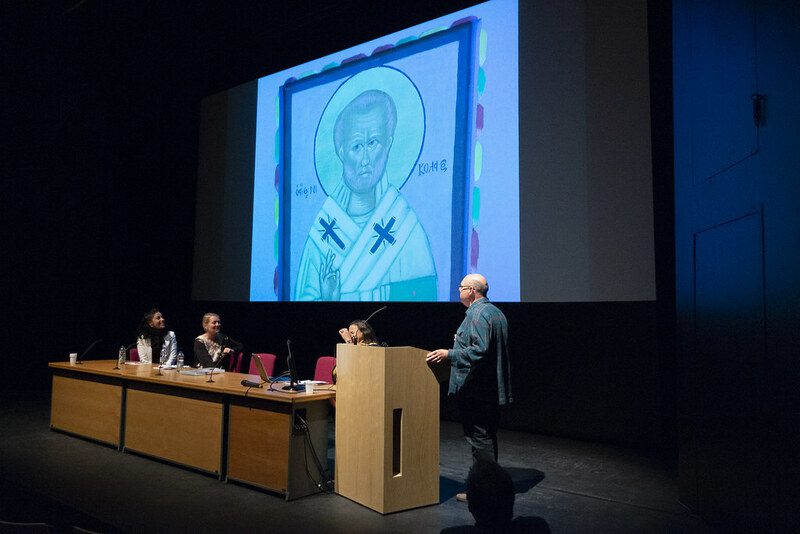 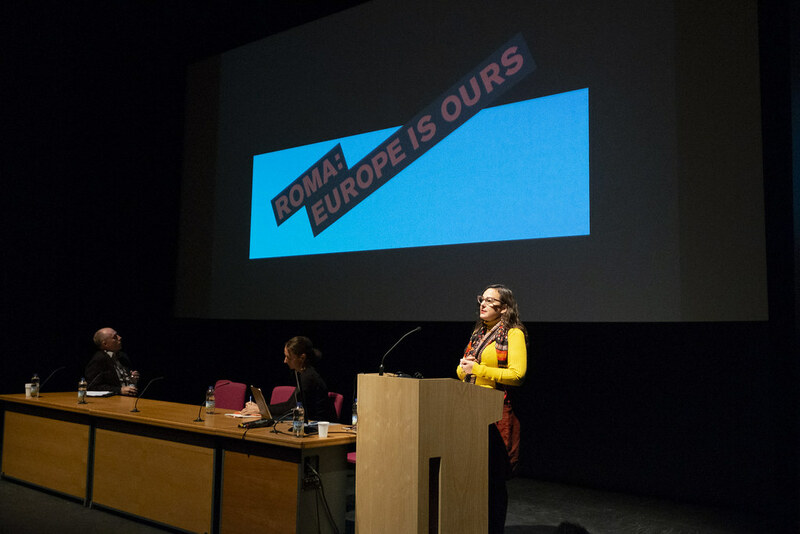 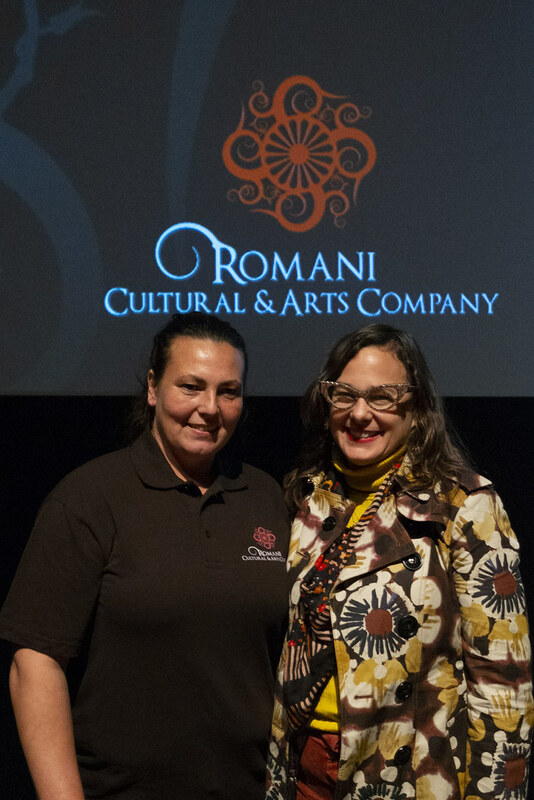 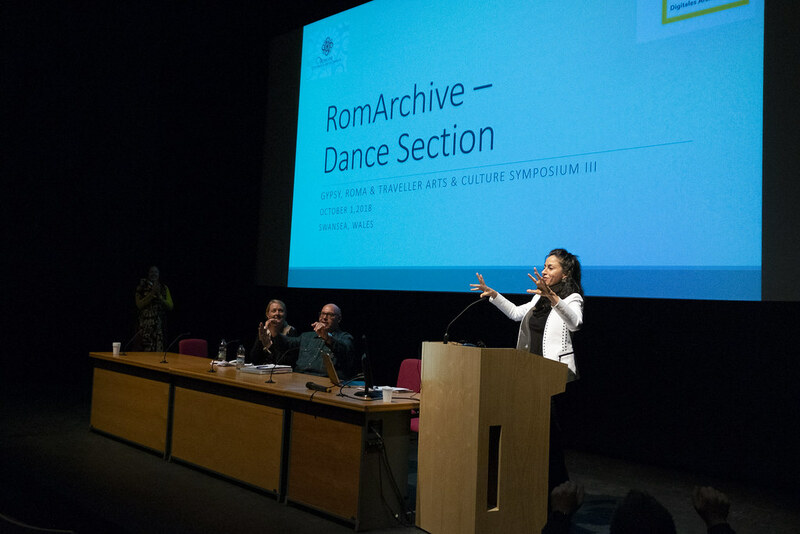 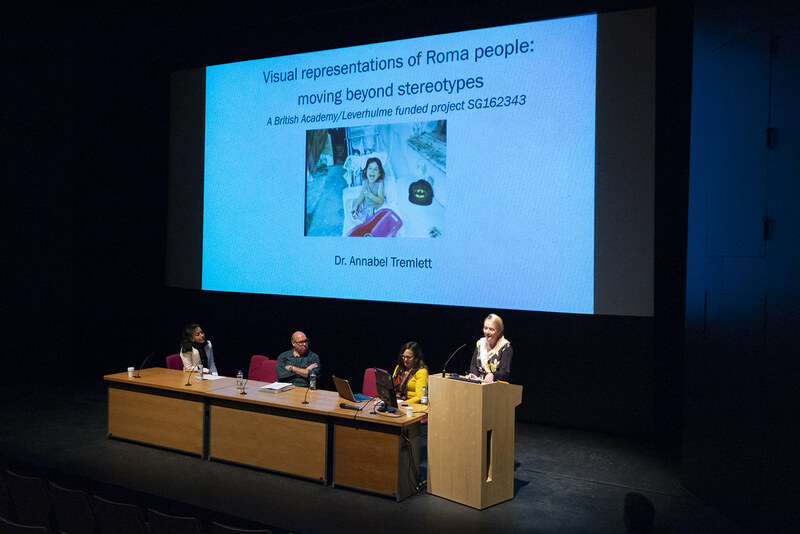 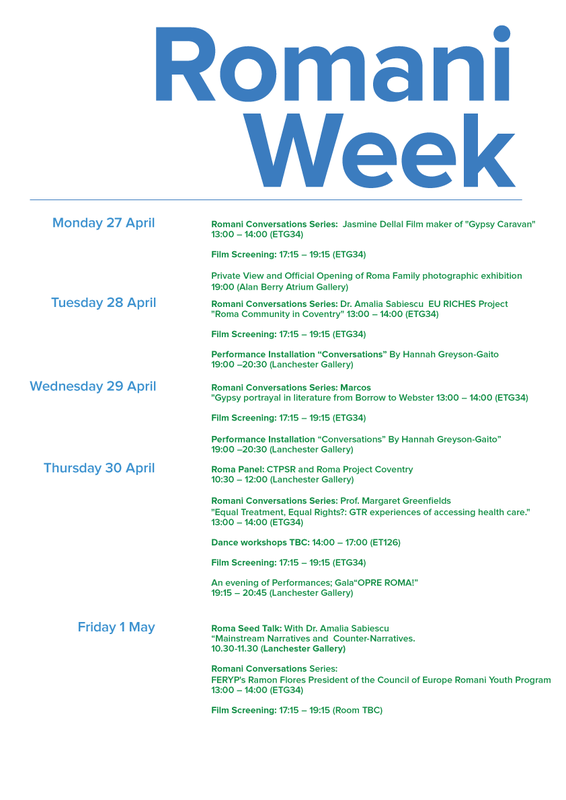 Romani Week offers a rich mix of dance, music, talks and film screenings, culminating in a spectacular Gala “OPRE ROMA” at CU’s Lanchester Gallery on Thursday April 30th, 2015. 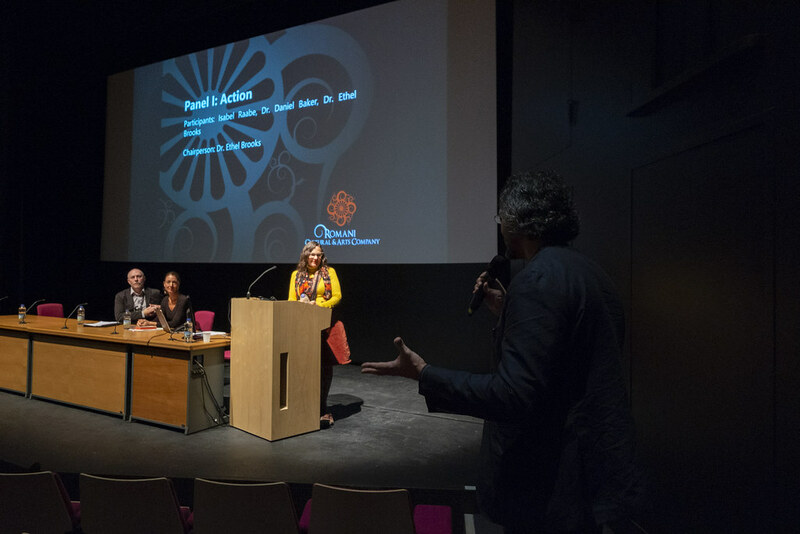 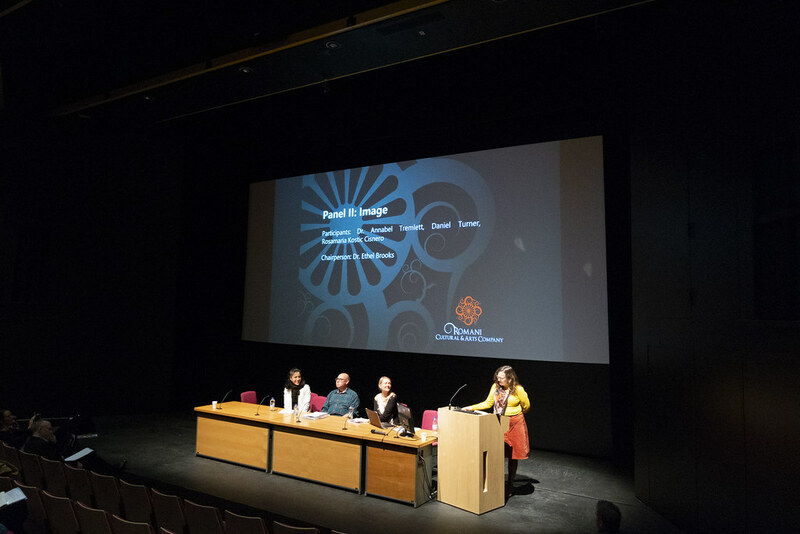 The festival schedule is attached above and if you have any further details, please contact Marcos Young on 07835 089 811, or email ab4928@coventry.ac.uk for interviews with directors Rosamaria K. Cisneros and Andrew Beck.